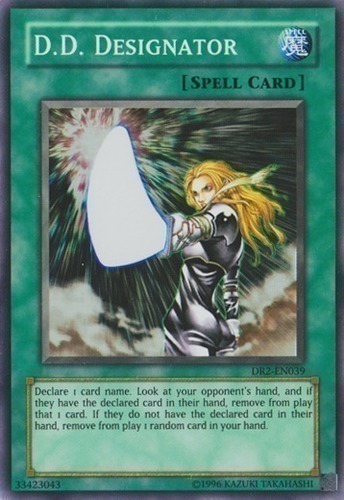 Declare 1 card name. Look at your opponent's hand, and if they have the declared card in their hand, remove that 1 card from play. If they do not have the declared card in their hand, remove 1 random card in your hand from play.